I was issued a challenge by another group of photographer friends to make monthly visits to ONE location and photograph that location from the SAME spot at least once a month for a year. The challenge began in January and the above image is my shot for February. The thinking behind the challenge is to observe the selected spot in various weather conditions, photograph it at various times of the day, photograph it with people as well as without people, as well as simply be mindful of the transformation the selected location experiences throughout the course of a year. When I arrived at my location to take my February image, I immediately found my selected spot and quickly made my shot. I’ve learned where to stand to compose the shot with the tree framing the pier. I’ve already photographed this same spot a couple of times in January and one other time in February so there was little, if any, hesitation. I had intentionally planned this particular visit for late in the afternoon, wanting to emphasize the long winter shadows and the tree in silhouetted form. As luck would have it, the sky was naturally a clear, bright blue! The afternoon was crisp but pleasant; the sun slowly lowering in the sky. I had some extra time so I sat on a bench after making my planned image and simply took a little time to savor and enjoy my surroundings. It didn’t take long for my attention to move to the shore line on another side of the lake. 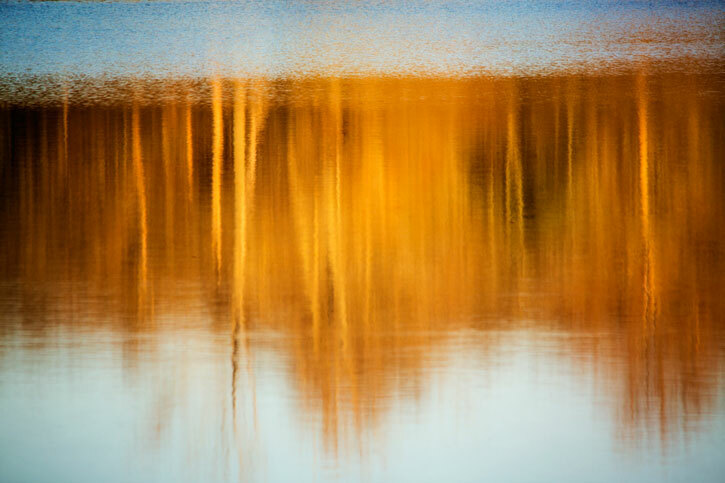 I was fascinated with the beauty of the winter tree line reflecting in the water. 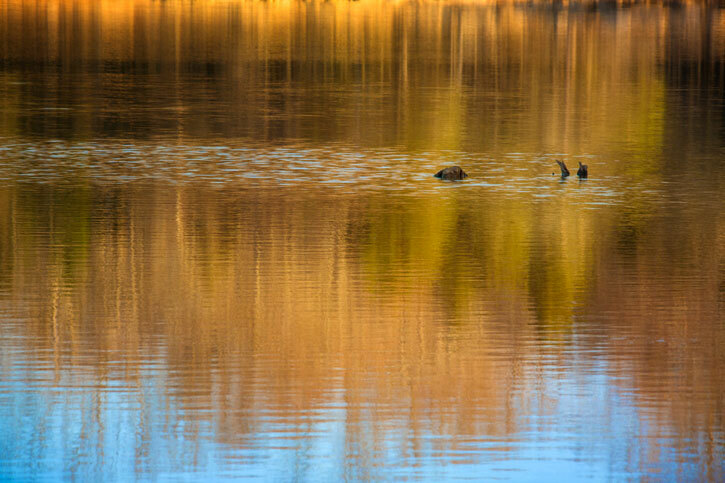 Shortly thereafter, along with the golden light of dusk came the most magical reflections painting a stunning natural abstract in the still, calm water. 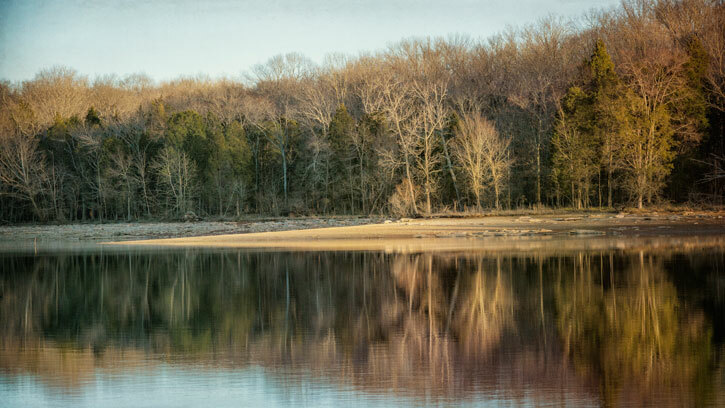 I could hardly contain my excitement as I made photograph after photograph while relishing and studying color and reflections, and becoming absorbed with nature. This location is just minutes from my home and proves that beauty is often waiting out one’s ‘back door’…if one takes the time to look. Thank you, Mother Nature, for putting on such a stunning show that late February afternoon. 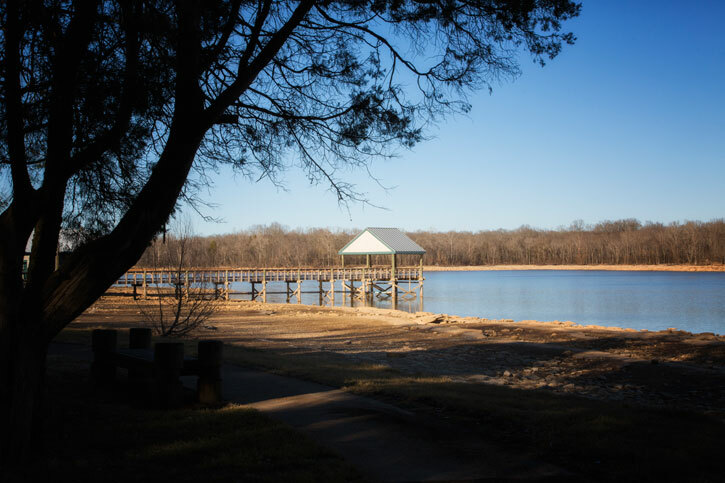 This entry was posted in Sue Henry and tagged abstract, Fine Art Photography, Long Hunter State Park, Nashville Photography, Nashville TN, Sue Henry Photography, Tennessee on February 25, 2014 by f4studionashville.